Took a bit of a detour into some Android app development. It was a good learning experience! Even though Arcanoria is a PC standalone project. Updates to plugins NGUI, Xffect, uLink, not to mention Unity. 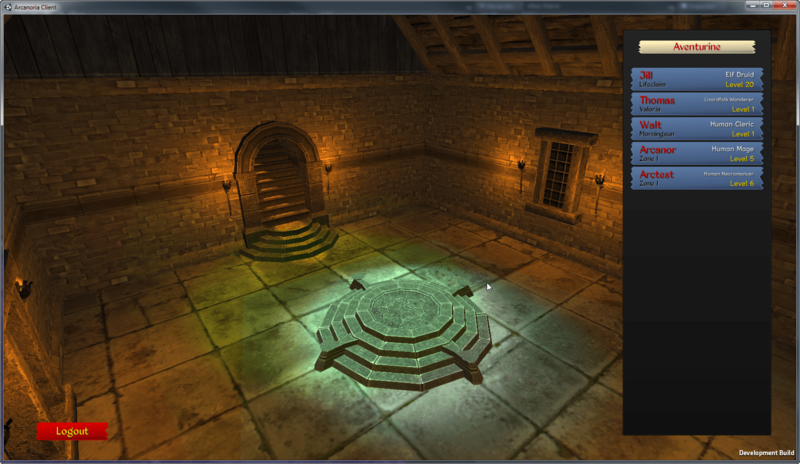 Added log4net and UnityVS for easier development debugging. They are both helping quite a bit. Communications encryption for security, using Public/Private key methods. Continued commits to Mercurial, which is working great. Lots of UI development, including replacing all fonts with legitimately free-to-use ones (mostly from Kingthings). 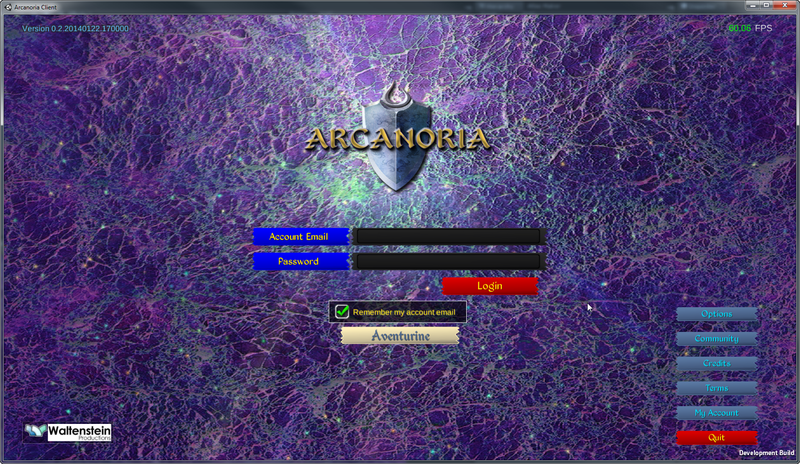 Since the “Tork” font (which isn’t free for commercial deployment) was in the old Arcanoria logo, we’ve created a new one (using a free font), as you can see below on the login screen. Got the “Loading room” and login sequence mostly working, although the avatars themselves are still missing (and will require some thought on implementation). Anyway, here are a couple of quick screenshots.